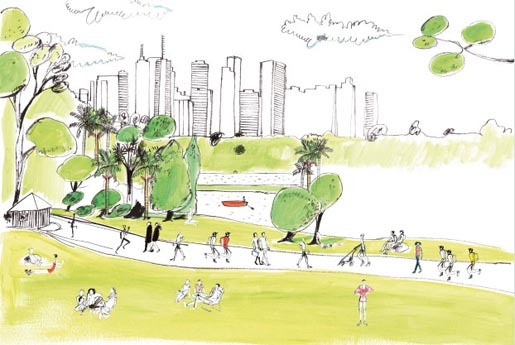 Melbourne design company Fabio Ongarato Design is working with a team of sixteen illustrators to run a slow reveal campaign portraying the lifestyle of luxury apartment complex The Capitol South Yarra. 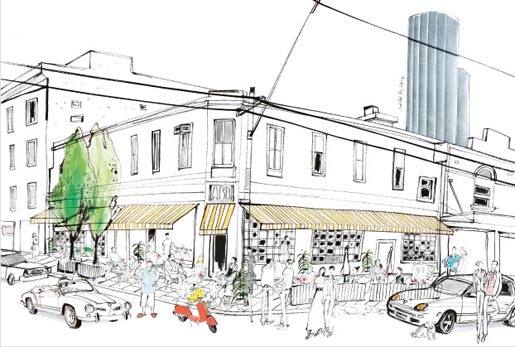 Apartments at the corner of Toorak Road and Chapel Street start at $850,000 and reach $15 million. 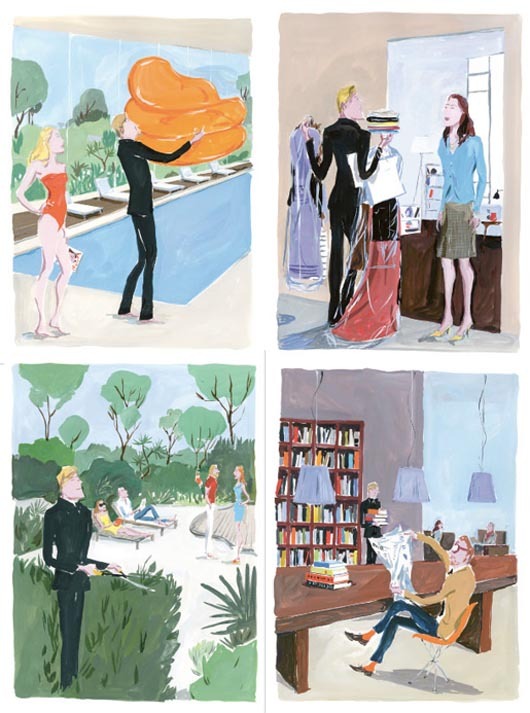 Position, home, service, atmosphere, society, culture, perspective, space, and modernism are explored with Illustrations and photography provided by a range of artists, from Filipe Jardime, Louis Vuitton’s Carnet De Voyage Rio illustrator, to GQ’s resident cartoonist Jean-Philippe Delhomme, to Spanish photographer Daniel Reira. The result is a collaboration with 16 contributors presented online and in the building’s foyer. This approach has seen 1,900 registrations and over a hundred $5,000 reservations fees paid for apartments before the product has gone to market. Fabio Ongarato Design team Fabio Ongarato, Maurice Lai, Katherine McQuarrie and Meg Phillips, worked with photographer Sebastian Gollings, illustrator Filipe Jardim, illustrator Jean-Philippe Delhomme, architectural photographer Peter Bennetts, (with retoucher John Hamiliton, intern Max Schafer digital operator Andrew Butler), stylist Indianna Foorde, Spanish photographer Daniel Reira, gallery owner Sophie Gannon, film director Ben Briand, photographer Philippe Auger.